We use solid wood construction, time-tested joinery techniques, and hand rubbed finishes to craft our wood furniture. 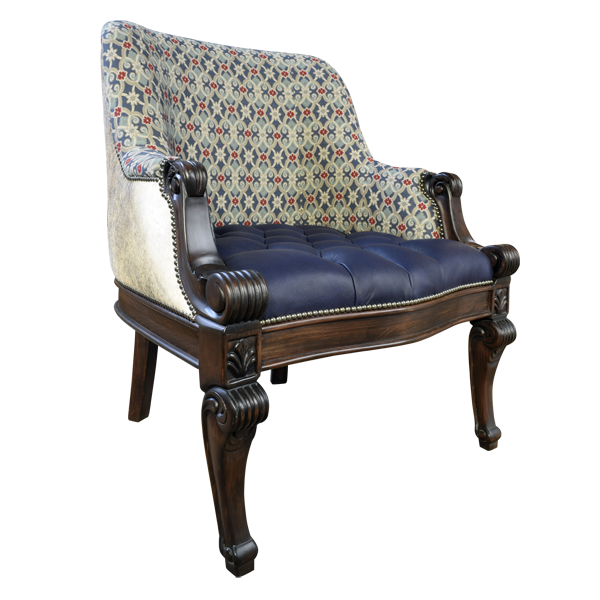 This Western style chair is a beautiful example of our handcrafted furniture. 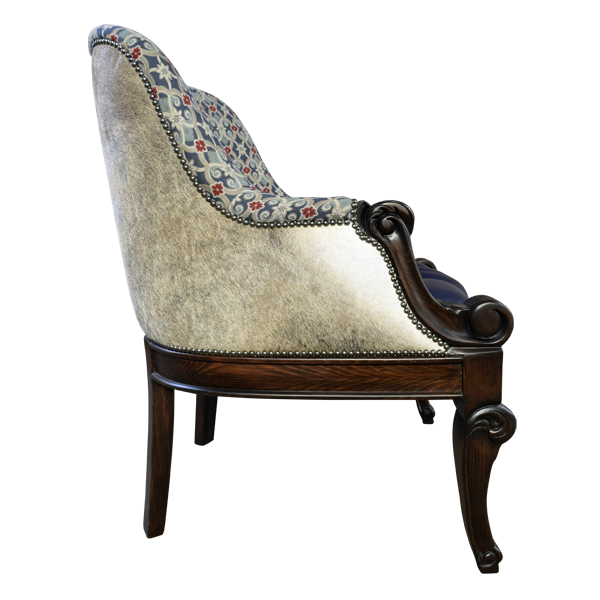 The solid wood armrest of this custom chair are hand carved with ornate scrolling and floral details, and with a reed design. The tapered front legs are also ornately hand carved with scrolling, floral details, and with a reed design. The front legs end in tapered feet, and the back legs have a square design and are gently splayed. 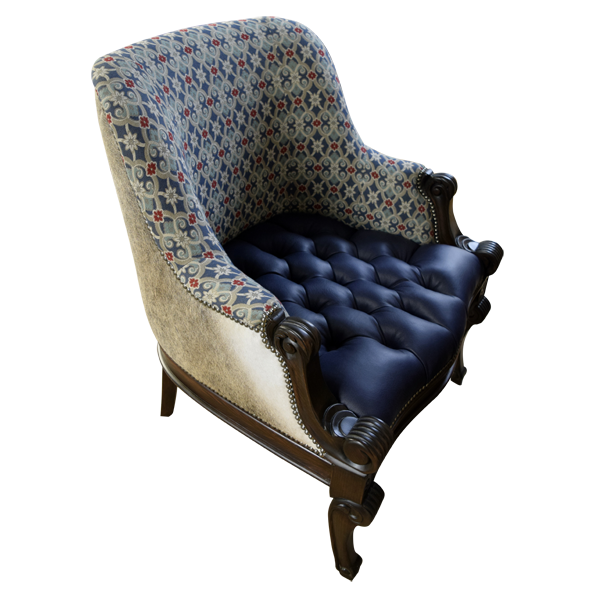 The gently curved inside seat back is upholstered in patterned, fine fabric. 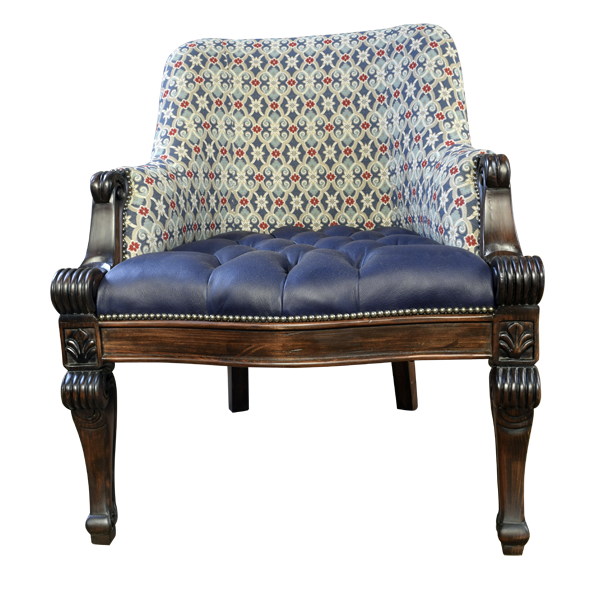 The seat is upholstered in dark, blue, stained full grain leather and it has a beautiful, button tuft design. 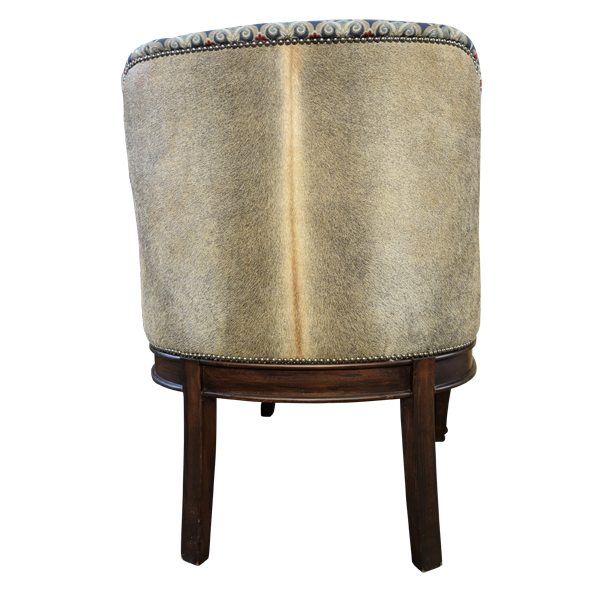 The reverse seat back is upholstered in real, patterned cowhide. The upholstery is double stitched at every junction, and all upholstery is precision hand tacked to the entire wood frame. Both beautiful and durable, the chair is made with the best wood available. It is 100% customizable.